When I think of the word "vintage", I think of class. Simplicity. Elegance. Having been raised by two parents who frequented auctions, estate sales and antique shops, I've grown to have a great fondness for vintage. Some days I think I was born in the wrong era! So, when I came upon EarthsTrove Vintage Emporium, I sighed happily. Greeted by a discount code in the shop's announcement section, I browsed through the shop and came upon a few items I just HAD to share! If you know me at all, you know my love for vintage handbags. They're simple, yet wonderfully detailed, and the quality of work is always outstanding. 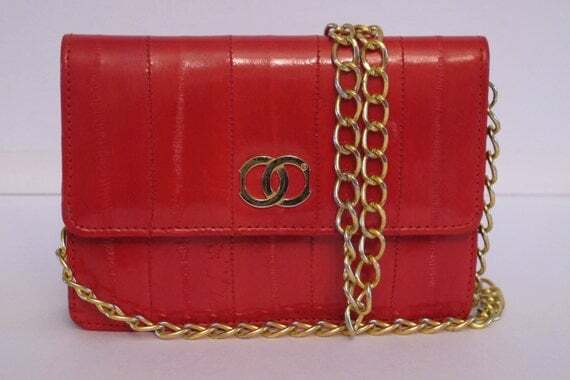 This adorable little number, a Vintage Eel Skin Purse, is a bright pop of color in a timeless style. Another one of my great loves is anything related to the kitchen. Being a trained chef has lead me to enjoy presenting dishes in a variety of shapes, sizes and colors. 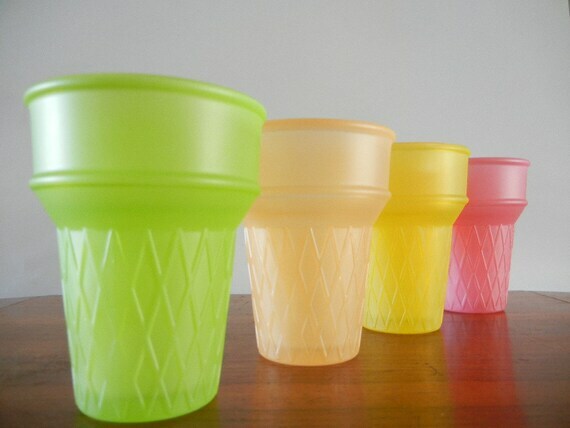 Could you imagine a whimsical, brightly colored sundae in these Vintage Ice Cream Cone Shaped Glasses? Perfection in a glass! So, be sure to head over to EarthsTrove Vintage Emporium and check our their amazing stash of all things vintage! Yummy I am suddenly thirsty!